مرحباً، أرغب بالاستعلام عن عقارك رقم بيوت - DUB177176. أرجو منك الاتصال بي في أقرب وقت ممكن. Available now to purchase is this excellent three bedroom (Type 2) villa in Palma, Arabian Ranches 2. Benefitting from a single row location, this property is excellent value for money and is immaculately presented inside. The unit is vacant on transfer and viewings can take place now. A great opportunity to purchase a three bedroom villa (Type 2) in Palma. Briefly accommodation comprises: Living Room/Dining Room, Kitchen, Maids, Laundry & Powder Room. On the first floor you will find three double bedrooms and two bathrooms. The master bedroom has a walk in closet and external balcony. Keys available in the office and a viewing can be done at short notice. The community will include a pool and small park. 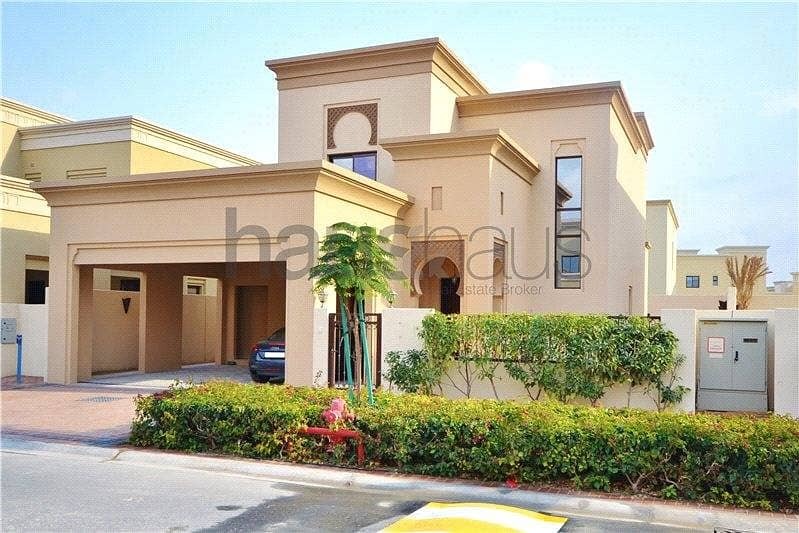 Palma is the 2nd release within Arabian Ranches phase 2. The community will include a pool and small park. Arabian Ranches enjoys an 18 hole Golf Course, community centre and school.